Let’s face it, life is busy and when we are asked to contribute a school fundraising idea a fearful, awkward smile crosses our face. Our minds search frantically for an excuse to “opt out”. What do we all look for in school fundraising? Minimal effort for maximum funds raised. Look no further as we arm you with the best comeback – the latest school fundraising idea for busy people. A go-to, proven, time friendly school fundraising option that you can grab for time and time again. 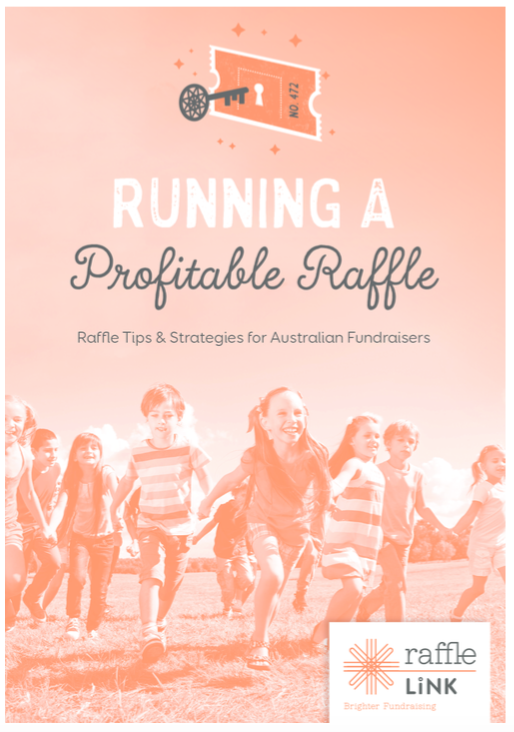 Online raffles have gained popularity in among Australian schools in recent years replacing the very labour intensive traditional paper raffle format. Unlike paper ticket raffles, an online raffle can be coordinated by a single person. With automated ticket issuance and reporting, the raffle coordinator can focus on promotion. Many schools have already embraced digital communications so it makes sense to move their school raffle online where they can easily promote to their families and wider community through social media, e-newsletters and email. Whilst face-to-face sales are still possible with an online system, when comparing cash sales with the online sales of past clients, we have noted that on average, online sales are approx. 3 times higher than face-to-face sales. The majority of online buyers, when paying by credit card, choose a ticket package rather than a single ticket. The Glenaeon Steiner School P&F have used an online raffle in conjunction with their Family Fair for the last 4 years with sales reaching over $9000 in just a few weeks. Each year the online raffle is coordinated by the Year 4 parents which is a fabulous idea for P & F Associations to ensure fresh volunteers. St Joseph’s College Geelong organised two raffles in 2017. The first had the popular prize choice of a Thermomix and grossed just over $7000. The second raffle also offered popular prizes too with the first prize winner choosing from school fees or a travel voucher. This raffle raised approx. $19,500. They tagged on a classroom incentive to drive sales and their sales report shows distinct sales spikes after a promotion push. To learn more about making the switch from paper to online raffles check out RaffleLink’s online raffle service or contact us to get linked to less stress and more sales.